Community Foundation Grey Bruce is now accepting online applications from qualified non-profit organizations and charities across Grey and Bruce Counties for project and program grants up to $5,000. The deadline to complete an application is September 30th. The focus for this fall grant intake will be concentrated mainly on support of disadvantaged children and families. As well, modest funding is available to support minor sports in the smaller communities outside of Owen Sound and for the improvement of women's health in Grey and Bruce Counties. 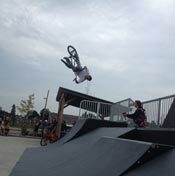 The Owen Sound Police are gearing up to skateboard, bike and scooter with area youth on August 20th. Recently, in the middle of a busy activity, a woman started to tell me about a vitriolic email that she received. She jumped in quickly summarizing the list of criticisms of the program and the angry words. When I simply nodded, she demanded, "Say something." I could have just said, "You're right; that's terrible," but that would not have shown compassion or understanding. Also, in her quick summary, I sympathized with some of the content she mentioned although not the tone. Three top winners have been selected from over 75 entries in the sixth annual Guys Caring for Kids Photo Contest. 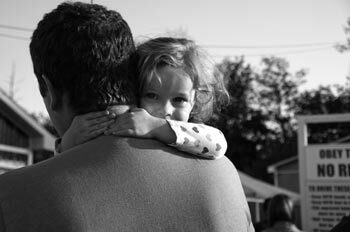 The photo contest challenges individuals to capture the visual stories of men in caring relationships with children. While men are continually involved in the lives of children, the majority of images of adults engaging with children still feature women. 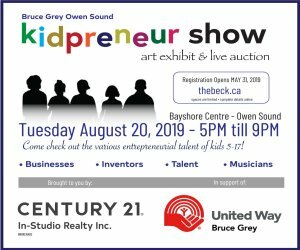 Several local organizations have come together, under the umbrella of Dad Central Grey Bruce, to encourage the role of men in the lives of children. In 2003, when I was 13, I begged my parents to take me to see Ron Sexsmith at Summerfolk. Despite my best efforts, I couldn't convince them. The next year I attended Summerfolk as a volunteer. I decided I would never miss one again and I haven't. It's difficult to explain the magic of Summerfolk to someone who has never been. It's more than just good music and gorgeous art in a beautiful setting. It's a catalyst for connections. By the third weekend of August, the season is winding down. Summerfolk is a friendly celebration, a collective farewell to warm days and vacations. Audiences discover new musical loves and artistic treasures. Friendly strangers mingle in front of stages, singing along, and comparing new CDs.